I’ve been on the search for a good shampoo and conditioner, trying everything from the most expensive, highly touted brands to cheap drugstore versions without much success. 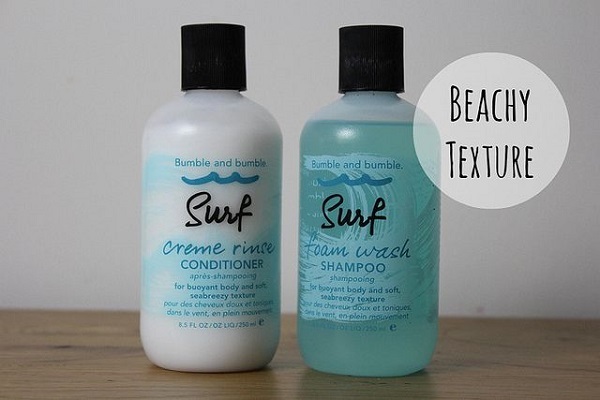 On a whim, I decided to try Bumble and Bumble’s Surf set hoping that it would be as effective as the brands surf spray, but it’s even better! The Surf shampoo and conditioner softens my hair, has a delicious beach scent and emphasizes every beachy wave my hair could possibly have. These products are so effective I don’t need to do anything to my hair other than towel dry it, which is perfect for lazy, beach days…or when you wish you were at the beach.